Last month, nearly 100 people were killed across north and northwest India in what was described as “freakish thunderstorm activity”. 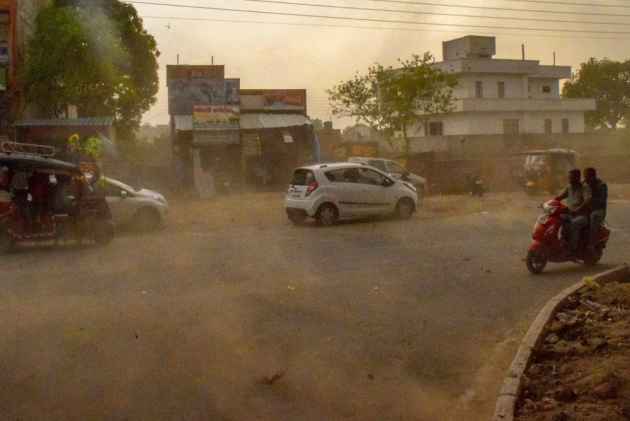 More than a dozen people were killed and nearly 28 others were injured when severe dust and thunderstorms lashed several districts of Uttar Pradesh, officials and media reports said on Thursday. NDTV reported that six people were killed in Sitapur, three people in Gonda, two in Kaushambi, and one each in Faizabad and Hardoi. The report added 17 people were injured in Sitapur, while 11 others were injured in Faizabad. Though not uncommon in this time of the year, dust storms have hot north India with much more ferocity this year. Last month, nearly 100 people were killed across north and northwest India in what was described as “freakish thunderstorm activity” and attributed to unusually high temperatures, moisture in the air, and an unstable atmosphere. At least 15 people were reported killed and nine others injured after a thunderstorm hit various regions of Uttar Pradesh on June 2. UP Chief Minister Yogi Adityanath has ordered district magistrates of the affected areas to ensure proper treatment to the injured. The Meteorological Centre, Lucknow had earlier issued warnings of thunderstorm accompanied with squall, dust storm and rain in parts of Uttar Pradesh.